Love it or hate it, cilantro (Coriandrum sativum) is still one of the most popular herbs for kitchen gardens . Growing Cilantro is quite easy as long as you take care to keep it away from the hottest heat. Cilantro is a staple of Mexican and Asian cooking. It makes a great garnish and is best served fresh. In spite of its popularity, cilantro is not often seen growing in home gardens. One reason might be that it is cheap and available at most grocery stores. Another is that people seem to think it is difficult to grow, which is not the case at all. I like to grow it myself so that I don’t have to worry about keeping the bunch from the grocery store fresh. If you have a small spot in your garden, it is quite easy to grow cilantro. I grow mine in my deck garden, so that it is handy to harvest when I want to use it for cooking. These tips will help you grow cilantro in your back yard, or as an indoor herb plant on a sunny window so. To get the most out of growing cilantro, it is important to understand its short growing cycle. Plant cilantro in full sun in northern zones, or light shade in the hotter southern zones. Here in North Carolina the summers get very hot and my cilantro plant will easily bolt in too much sun. I get best results from the plant all through spring and then again in the fall months. A well draining soil with a pH of 6.2 to 6.8 is ideal, but growing cilantro works in most soil types as long as it isn’t too heavy. The plant doesn’t like soggy soil. Add some compost or other organic matter to the planting hole, unless you are growing the plant primarily for the seeds. Even moisture is best if you can provide it. The plant doesn’t like it is the soil is too dry. Sow the seeds about 12 – 18 inches apart in the spring. In zones 9-10, you can plant it in the fall since it will last through the winter. Succession planting is the best way to have it on hand all season long. Set out new plants or seeds every 4-6 weeks until mid fall. Cilantro is best grown from seed, since it grows quickly and develops a tap root which makes it not adjust well to transplanting. If you have the room, plant cilantro in a bed devoted just to growing herbs so that it can reseed. It is also a good choice for a corner of your vegetable garden or in a large container.. The flower stalks are long and lanky and bear umbrel shaped flowers with white or pinkish white blossoms. They attract lots of different insects. These flowers later produce the cilantro seeds. 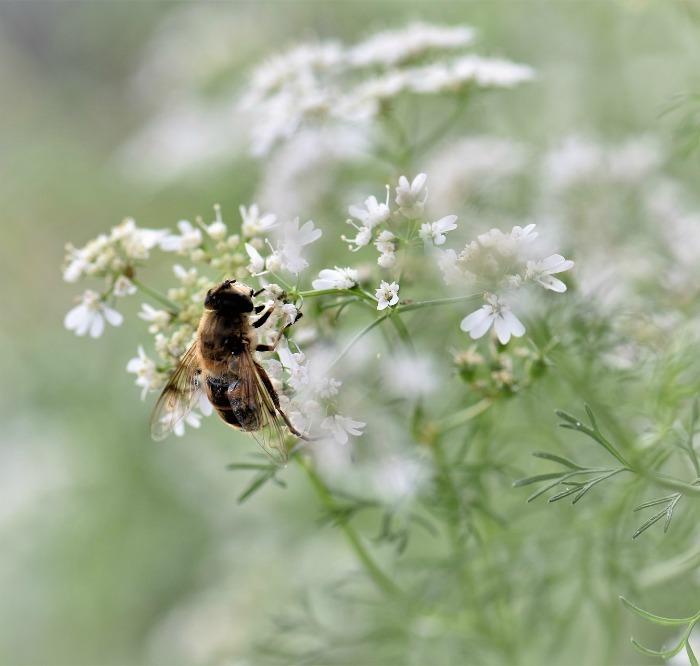 Cilantro plants make great companion plants since the flowers will attract beneficial insects. Since it is fast growing and bolts easily, plant it around your vegetable garden. The plant grows with rosettes of lacy leaves on long stalks. The older, mature leaves have a fern like appearance but less taste. The firm, younger leaves are best used for harvests. Is Cilantro an Annual Plant or a Perennial? 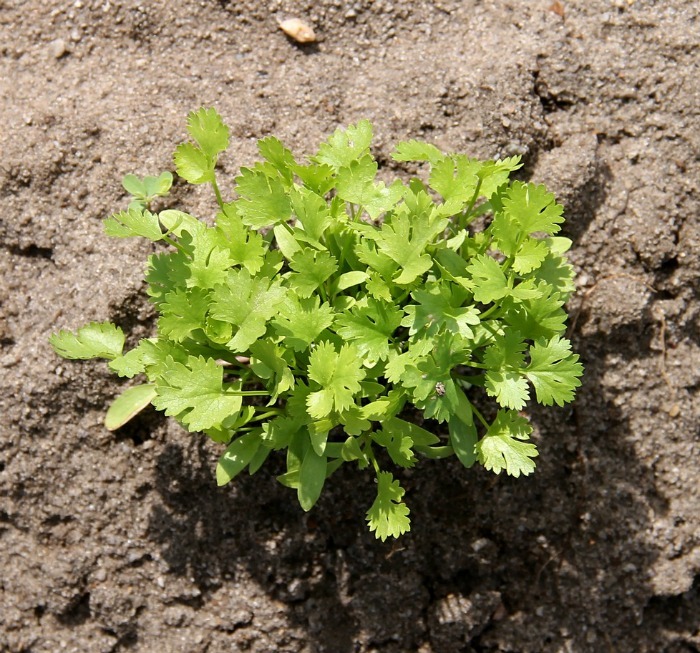 Cilantro is grown as an annual in zones 3-8 and will need to be planted each year in the spring. In warmer hardiness zones 9-11, it can be planted in the fall and will over winter nicely. Many cilantro plants will self seed and if it does this, with a bit of luck you may find new plants growing around the base of the old plant. Find out more about annual, biennial and perennial herbs here. Cilantro has a tendency to get leggy and spindly. To help prevent this, pinch back young plants to encourage bushiness. Even with good maintenance, this annual herb is not long lived. It will eventually bolt from the heat. It is just the nature of the plant to be short lived. Use the upper, new and firm leaves in cooking, rather than the mature, lower leaves that have a more fern like look to them. You can harvest the plant continually in the cooler months of spring and fall and through winter if you don’t get a hard freeze. It doesn’t like the hot heat so is better grown early and late, although it does fine all summer long in the cooler zones. The first leaves of cilantro grown from seed are ready to be harvested in just 3-4 weeks. When the plant matures and flowers it will produce seeds. They are called coriander. Avoid cutting more than one-third of the leaves at one time, or you may weaken the plant and it could stop growing. 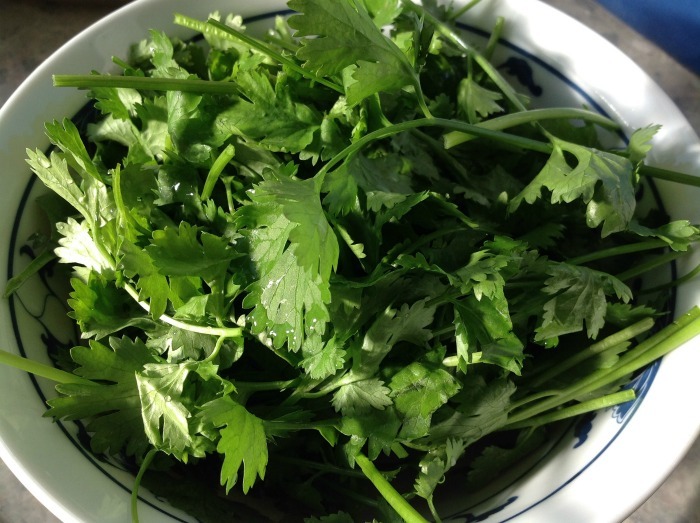 It is best to cook with fresh cilantro since the leaves will lose most of its flavor when they have been dried. 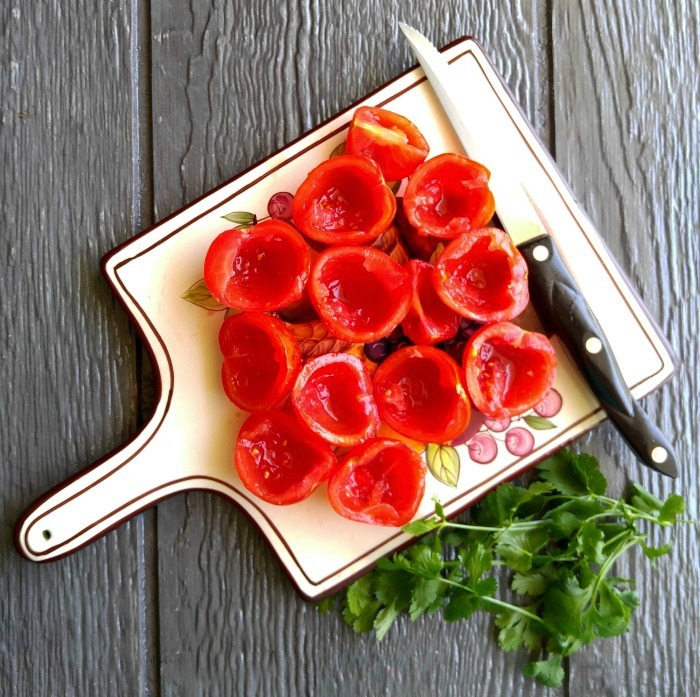 Fresh cilantro is a good source of potassium and is naturally low in calories. Add the leaves in the last part of the cooking procedure to maximize the flavor. Store cilantro by freezing the leaves in an ice cube tray in water or olive oil. Even this way they will lose some of their flavor but it’s a nice way to use up any excess leaves at the end of the growing season. Cilantro can also be combined with butter, lime and sugar to make cilantro butter to use as a spread on crackers. The butter is also nice to use on corn on the cob, or grilled meats that use a Mexican spice rub. 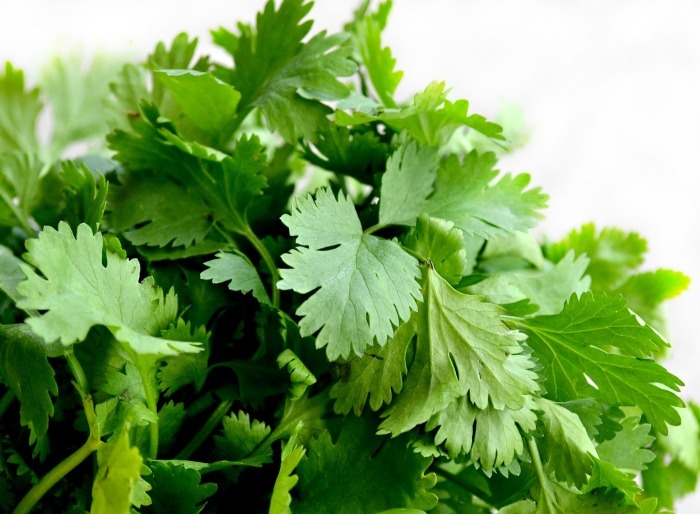 Cilantro is a staple in Mexican and Asian dishes. It is used throughout the world, particularly in Asian and the Middle East. Here are a few recipes to get you started using it.